Have you ever wondered how Santa spends his time when not delivering toys? Well now is your chance to find out what Santa is up to year round! Santa has been receiving letters and emails for years from children around the world wondering what he does when he's not delivering toys. 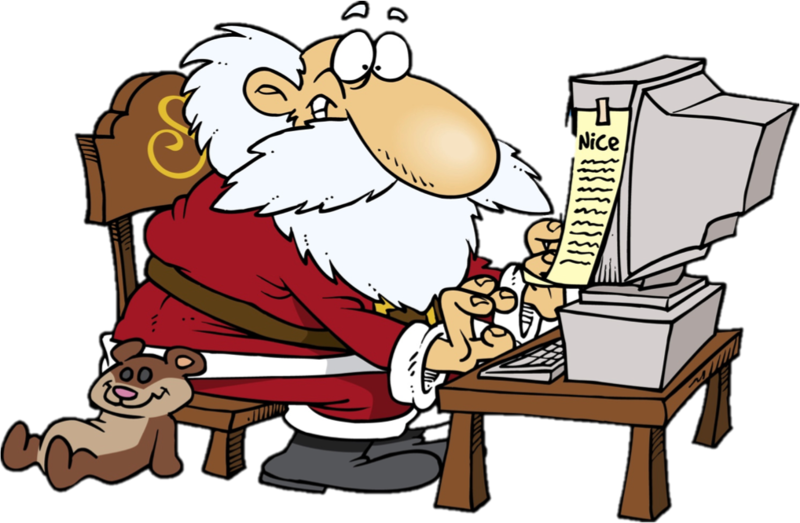 Well Santa has decided to write his own monthly email newsletter to let you know all the happenings at the North Pole. Sign up for your free monthly Santa email Newsletter to get an inside look at how Santa spends his time with Mrs. Claus, the elves and all the reindeer doing fun activities like playing games; having summer barbeque's; visiting friends like Frosty and of course gearing up for a busy Christmas Eve. ​Simply provide your name and email address to receive your very own monthly email updates from Santa himself!